This week we were delighted to attend the Disney Store at the St Enoch Centre, Glasgow for the VIP launch of their annual charity campaign 'Share the Magic' with In Kind Direct. 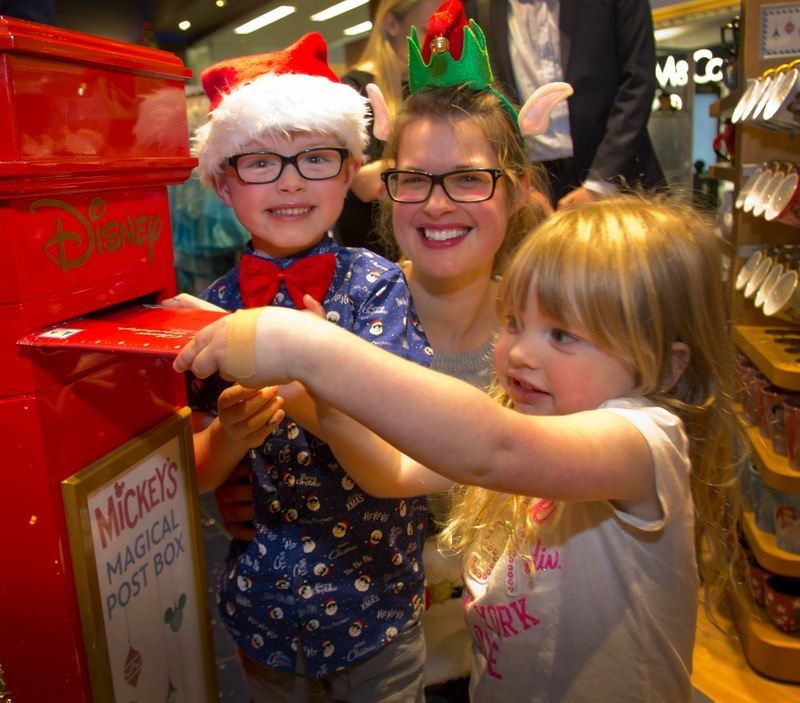 The 'Share the Magic' initiative invites families to post their own Letter to Santa at Disney Stores across the country and for every letter that is posted, a Mickey Mouse soft toy is donated to a child through their chosen national charities*. This is the 6th year that Disney Store has run the campaign and this Christmas is set to see the 100,000th soft toy donated. If you can't get to a Disney Store, then you can still participate online where you can use the letter writing tool and post your letter digitally. This year Disney Store is supporting In Kind Direct. 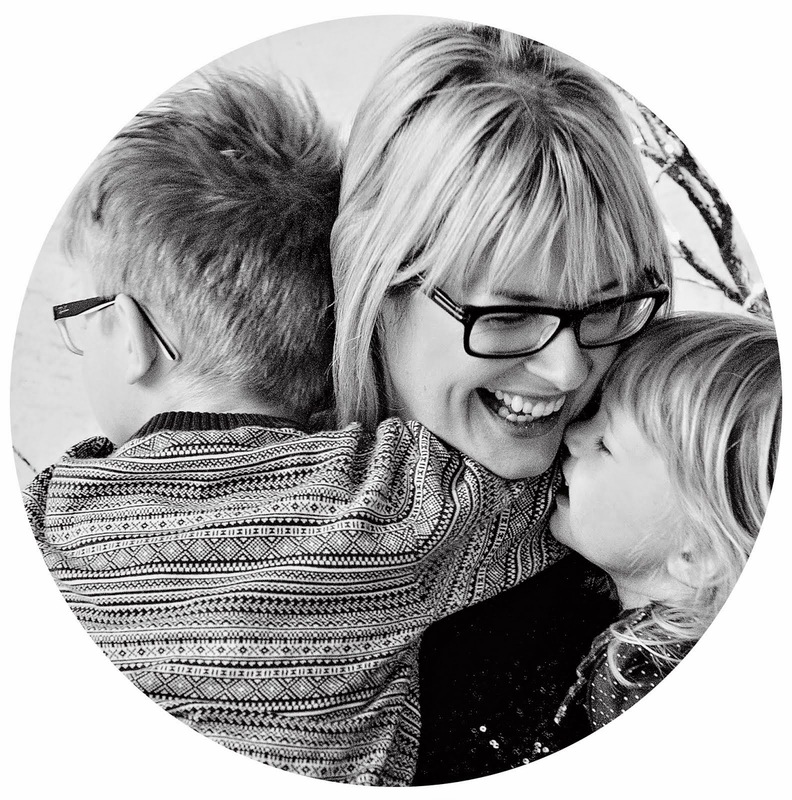 The charity redistributes quality, usable products donated by some of the UK's best known manufacturers and retailers to charities working in the UK and abroad. Disney Store is one of In Kind Direct's founding donors, first donating in 1997. 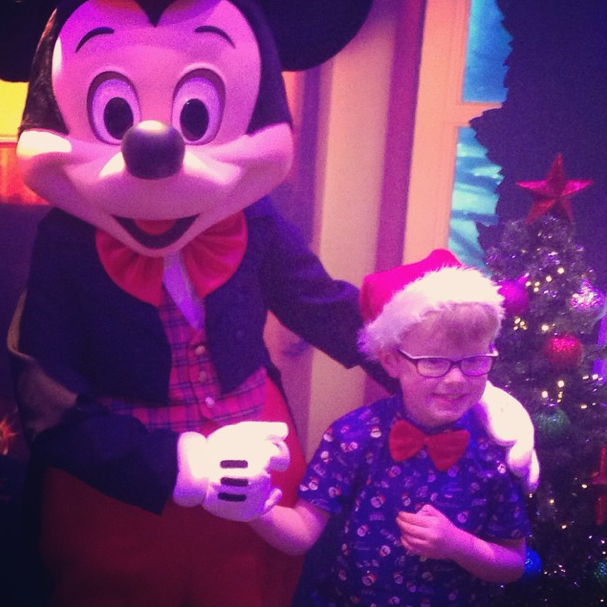 Since then the Disney Store has donated over £2.6 million worth of toys, clothing and accessories. The kids and I got into our Christmas clothes & accessories, jumped in the car and headed into town for the event. 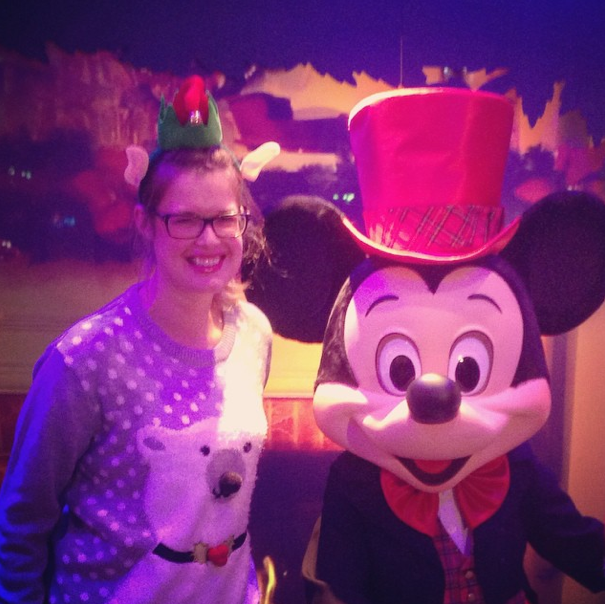 We had great fun making snowflake decorations for our Christmas tree and posing with Mickey Mouse. We then wrote our letters to Santa before posting them in the magical post box. I even enjoyed a wee sparkly mince pie, or two (don't tell the PT!). There were a few celebs attending the event, although I didn't spot any of them at the store on the evening! If you're CBeebies fans like us, then you'll recognise the stars from Wooly & Tig! The kids were very lucky to be given a goodie bag each as we left the party that included a festive Mickey Mouse soft toy and a Christmas decoration. We also received a gift voucher for the store which promptly was spent on a small Star Wars set for the eldest and a princess nail polish for the littlest. Nothing for mummy unfortunately! *A maximum of 25,000 soft toys will be donated.